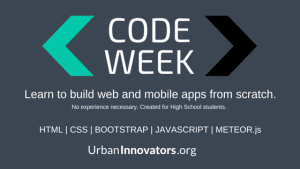 The next UrbanInnovators event is the first of a series of multi-day workshops to teach high school students how to go from no coding experience to building a prototype web app. 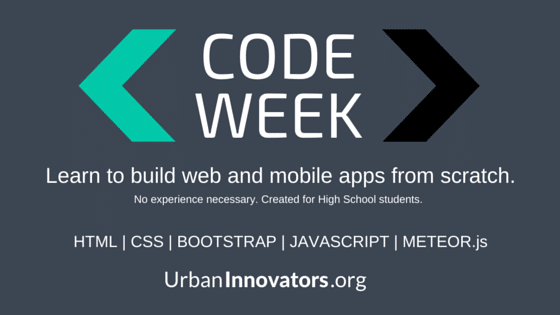 Attendees will learn to build web and mobile apps from scratch in 3 days time. The event will take place December 28-30, 2015 from 9am – 2pm at Cheyenne High School in Las Vegas. Workshops will lead up to a hackathon in February where students will be able to pitch and present their own apps. 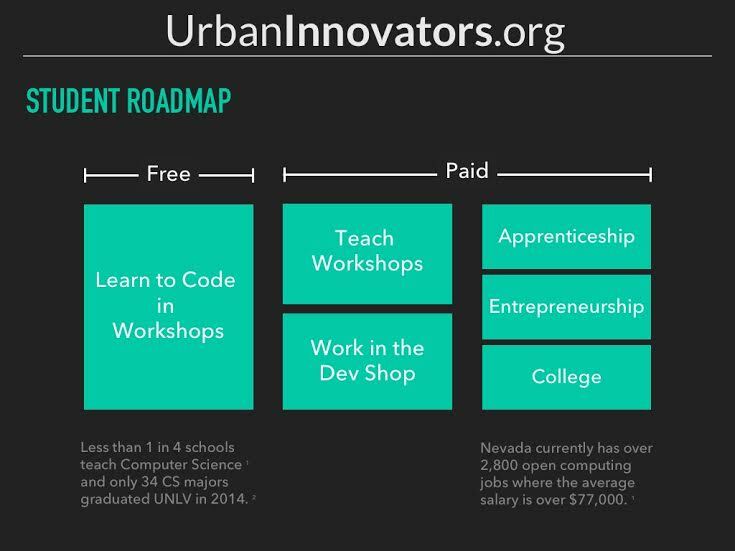 Along the way, UrbanInnovators has has some challenges and successes. When it comes to defining successes, Shavonnah says to look at the students served by the program. Get to know other #VegasTech community members and learn how you can help them grow their ideas! Take a look at our “Meet Vegas Tech Community Members” series. Hello! I was wondering if there was room for more teaching assistant volunteers. I see that the dates are nearing. Please let me know. I would like to to come in as a volunteer and help as much as I could. THIS IS SO AWESOME!!!! Shavonnah THANK YOU for all you do for our #Vegastech community and most importantly growing our roots and ties to our local youth! I do not know how to code (copy paster) but I am a triple G on Google EVERYTHING and it is all FREE and I will be glad to share or assist in anything you need! I want to chat with about how my company can create a project to outsource to our Dev Shop students and develop an apprenticeship experience in the Summer of 2016!